Couples often spend precious time and resources to achieve a look of modern sophistication in their homes. From furniture to art to appliances, many couples work for years to decorate their home in a way that reflects their individual style and taste. When these couples become expectant parents, their quest for baby furniture often leaves them feeling frustrated and exhausted. Because much of the baby furniture on the market reflects classic and sometimes out-dated designs, expectant parents with a more modern flair sometimes have great difficult finding baby furniture with a modern appeal. 1. Bassinets focus attention on the beauty of the baby because they do not overwhelm or detract from the home’s overall style and feel. 2. 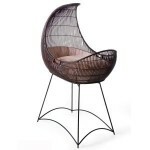 Select models of these bassinets may be used as portable beds which are perfect for traveling. 3. Bassinets come in a variety of shapes, styles, colors, and materials that you can mix and match with your stylish nursery. 4. Select varieties of bassinets are environmentally friendly (made from sustainable materials and have water-based biodegradable finishes). 5. 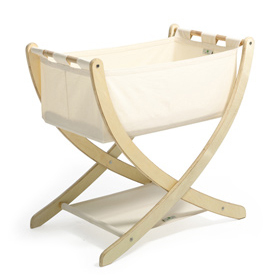 Bassinets typically come with a fitted sheets, slip covers, and foam mattress. 6. 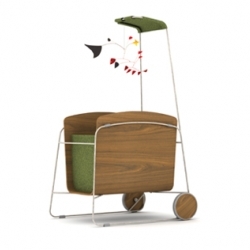 Bassinets are not only kid-friendly but are also adult cool. The price of a modern bassinet may range from $200-300 to over $1200. Because there is such a vast price range for this type of baby furniture, new parents should be able to afford a modern bassinet regardless of their budget. 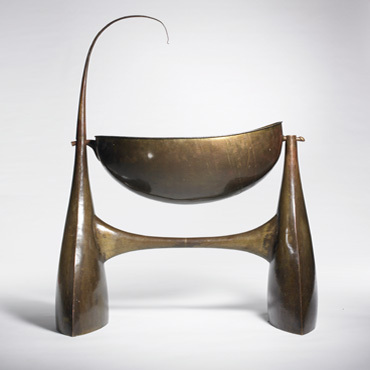 Modern bassinets are a financial investment; therefore, parents should thoroughly research bassinets on the market to determine if the bassinet could perhaps serve another purpose, such as a table or other type of furniture, once the child has outgrown the bassinet. For example, the YiAhn bassinet may serve multiple purposes such as a table and chair, bookshelf, or toy box. A modern bassinet can be not only a stylish piece of furniture but a smart piece of furniture as well. Welcoming a new baby into one’s home will bring many, many changes, but changes to the feel and style of the home and baby nursery does not have to be one of those changes. Choosing a modern bassinet for the first month’s of the babies life and give the child a safe, comfortable, cozy place to sleep while allowing parents to retain the modern look of their home and stylish nursery that they worked so hard to achieve. This entry was posted on Monday, January 25th, 2010 at 1:04 am	and is filed under Bassinet Guides. You can follow any responses to this entry through the RSS 2.0 feed. You can leave a response, or trackback from your own site.